Noted for her work as a plant biologist, Haruko Kazama has led a long and exciting career at the International Christian University (ICU). Her first position with the institution was assistant professor, and she rapidly moved up the chain, becoming assistant professor, full professor, and, as of 2009, counselor. She continues to serve in these roles to this day. 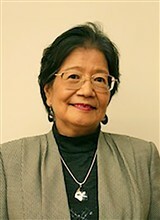 During her distinguished career, Dr. Kazama was a fellow at both the Australian National University and the University of Liverpool. She was also a part-time lecturer at the University of Tokyo and a lecturer in the science program at the Nippon Hoso Kyokai Japan Broadcasting Corp. In addition, she received a grant from the Ministry of Education, Science, and Culture in Japan. ​Dr. Kazama loved to contribute to her community when she wasn’t at the universities, and thus, she was involved in a variety of organizations. She was a committee member on gender equality at the Japanese Society of Plant Physiologists, a member of the examination committee at the Riken Plant Science Center, and a councilor of the Japanese Society of Plan Physiologists. Currently, Dr. Kazama is the examiner at the National Institution for Academic Degrees and University Evaluation, an examiner and committee member of the Japan University Accreditation Association, and an examiner at the Japan Society for the Promotion of Science. She is also the editor of the journal “Plant and Cell Physiology” and contributes chapters to books and scientific papers to professional journals. In preparation for her journey, Dr. Kazama earned a Bachelor of Arts from ICU in 1968 ans a DSc from Osaka University in 1977. She is also certified high school and junior high school science teacher. To keep up with developments in her field, Dr. Kazama is a member of the Japanese Society of Chemical Regulation of Plants, the Botanical Society of Japan, and the American Society of Plant Biologists. Additionally, she is affiliated with the Japanese Society of Plant Physiologists, which enables Japanese researchers working on plant physiology and related subjects in the fields of basic science, agriculture, and pharmacology to communicate with each other. Dr. Kazama’s hard work and dedication have not gone unnoticed. In 2012, she received a special distinction award from the Botanical Society of Japan. The award recognized her longstanding achievements in the education of researchers through liberal arts education. The society applauded her great contributions to education by citing that 80 percent of her students went on to study at graduate schools and many of them have gone on to serve as heads of research centers in Japan and overseas or have become associate professors at national Japanese universities. Other honors include being featured in numerous editions of Who’s Who in the World. When Dr. Kazama has spare time, she enjoys pursuing photography.